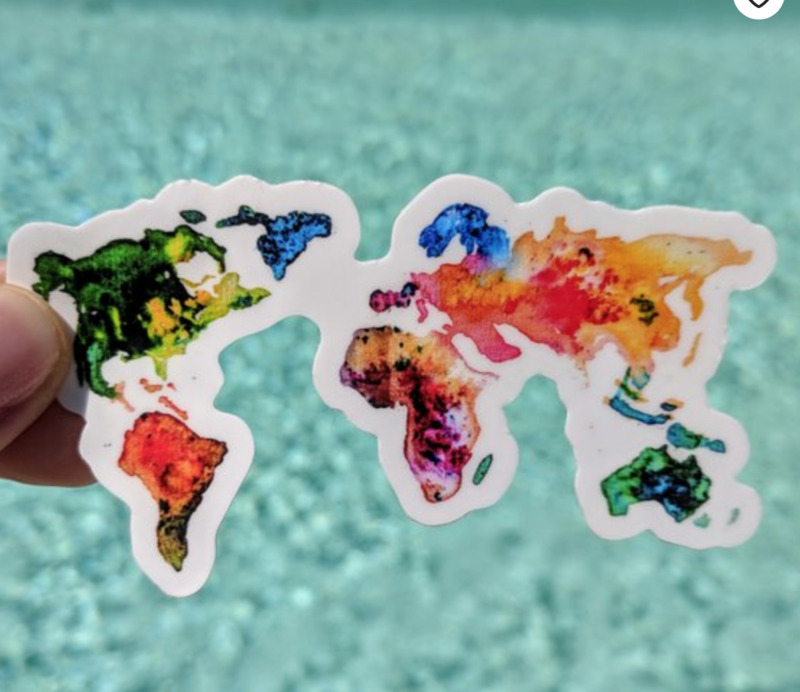 Bring wanderlust into your life with this 3" die-cut watercolor world map sticker on super durable vinyl for all your extreme needs. Great for the traveler in your life or someone who enjoys a good journey and also watercolors. 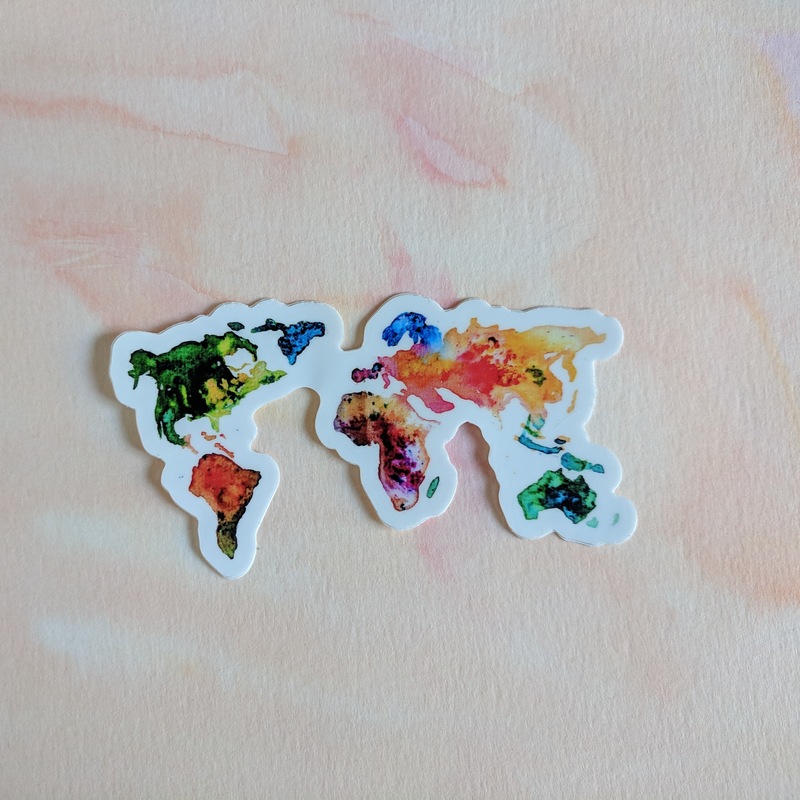 Stick this watercolor world map sticker on your tumbler or in your daily planner. Also great for bullet journals. 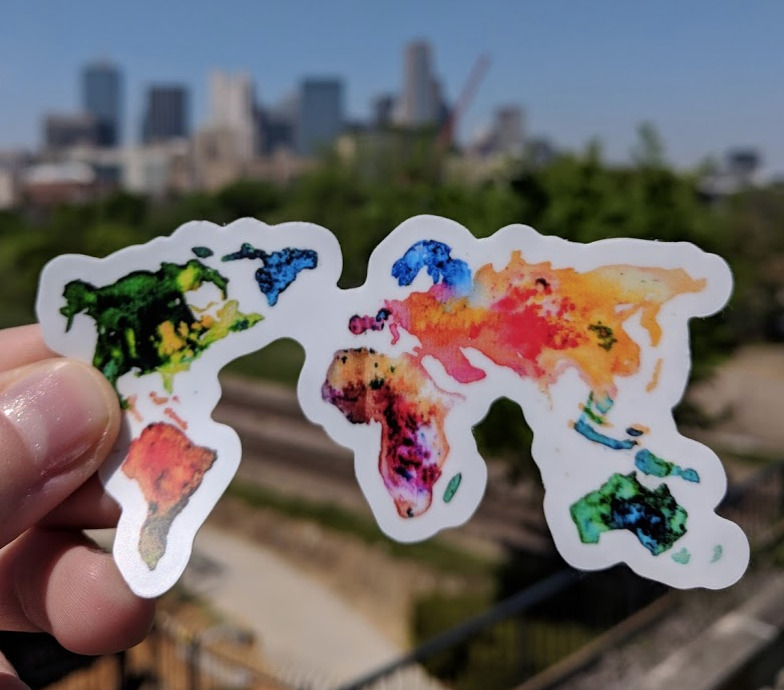 This sticker was hand painted with love in Dallas, Texas.